Jesse Nagel previews the fifth week of the 2018/19 edition of the English Premier League. 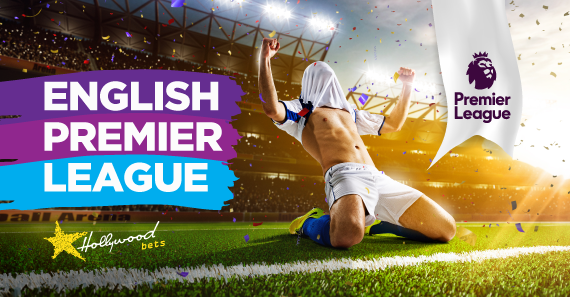 The English Premier League returns after what was a much-needed international break for some, while it may have diminished momentum for the likes of Liverpool, Chelsea and Watford, who have won all four of their opening matches played so far. The Hornets face more stern opposition in Manchester United, while log-leaders, Liverpool, travel to Wembley to face Tottenham in what is undoubtedly the tie of the round. There’s plenty of enticing odds on offer this week, so let’s get straight into the action. Chelsea will be looking to make it five wins on the spin when they host relegation favourites, Cardiff City, this Saturday. The Blues are just one of three teams to return from the international break with a 100% record, while Cardiff scored their first goals of their top-flight campaign in a 3-2 home defeat against Arsenal. If that encounter was anything to go by, it seems that Neil Warnock’s charges will raise their game against the big guns. Still, Chelsea should be too strong for them. Back the Blues on the (-1) Handicap here at 5/10. Manchester City bounced back after their setback against Wolves, edging past Newcastle United 2-1 at the Etihad Stadium. Fulham will have hope of getting a result against City, especially after seeing fellow promoted club, Wolves, hold the champions to a stalemate. Pep Guardiola could have one eye on their UEFA Champions League fixture in midweek against Lyon, although City’s squad depth will help them rest a few of their key players, while still being able to get the job done in the league. The home win is way too short to back with confidence, so I suggest taking Both Teams to Score at even money. Newcastle will be searching for their first win of the season when they host an Arsenal side looking for their third consecutive victory. You have to feel for Rafael Benitez in times like these, with the Spanish mentor facing a team from the top six for the third consecutive match in a row. Tactically, it will be a tough clash for both managers. Rafa usually sets up deep and defensively against the big guns, while Unai Emery has been a bit more cautious away from home in comparison to his gung-ho approach at the Emirates Stadium. Once again, Both Teams to Score seems the best bet here at 13/20. After starting their season off with two wins from two, Bournemouth have suffered a slight dip in form, winless in their two encounters after that – including a 2-0 defeat away to Chelsea. Leicester City have also won two of their four matches and will welcome Jamie Vardy back from suspension. The Foxes also received the good news over the break that Harry Maguire has been tied down with a bumper new deal. Both teams should get on the scoresheet here, but for more value, back Leicester on the Double Chance and Both Teams to Score at 14/10. Huddersfield will be seeking their first win of the campaign when they take on a fiery Crystal Palace side, who will welcome Wilfried Zaha back from his injury that ruled him out of their 2-0 defeat at home to Southampton. Huddersfield are yet to score a goal at home this season, while no team in the division has conceded more goals than them (10). The Eagles have a certain swagger about them when Zaha is in the team, and for that reason, the away win is too tempting to pass up at 31/20. In one of the biggest games of the round, Watford host Manchester United, looking to open their season with five wins on the trot for the first time in the club’s history. After disappointing defeats to Brighton and Tottenham, Jose Mourinho’s men responded with a comfortable 2-0 win against Burnley. The break came at the worst possible time for the Hornets, who came from a goal down to beat Spurs 2-1 at Vicarage Road. Since his appointment at Watford, Javi Gracia has won seven home games as manager – no team has won more in that time. Watford have also won all their matches in which Andre Gray and Troy Deeney started up front. With United having one eye on the Champions League in midweek, back Watford to continue their stellar run with a win against the Red Devils. Wolves will be looking to keep up their impressive run in the top flight when they host Burnley, who are one of five teams yet to win in the league this season. Wolves picked up their first win before the break and remain unbeaten at home with two draws from their opening two matches – one being against champions, Manchester City. The Clarets have been dull and boring since the start of the campaign, although Sean Dyche could put some of the blame of their UEFA Europa League qualifiers which have interrupted them early in the season. Although Burnley will be fresh after the break, Wolves are tipped to come out on top. Everton remain unbeaten this term, although they have been guilty of throwing away some points they should be gaining this early on in the season. West Ham, on the other hand, are the only side in the division yet to pick up a single point, losing all four of their opening encounters. Before the start of the season, this was the match that all the neutrals were looking forward to with both Marco Silva and Manuel Pellegrini strengthening their team with some top acquisitions. Despite Richarlison being out through suspension, back the Toffees to utilise home advantage and claim all three points. Gameweek five closes off with a Monday night tie between Southampton and Brighton. The Saints look much more energetic and fearless with Danny Ings in the team, while Brighton also showed great spirit to come back from two goals down to draw with Fulham before the break. The Seagulls performed one of the biggest shocks of the season so far, beating Manchester United early on in the campaign, although their away form leaves a lot to be desired, losing both their matches on the road. A cagey affair is expected, with Southampton tipped to edge it at even money.